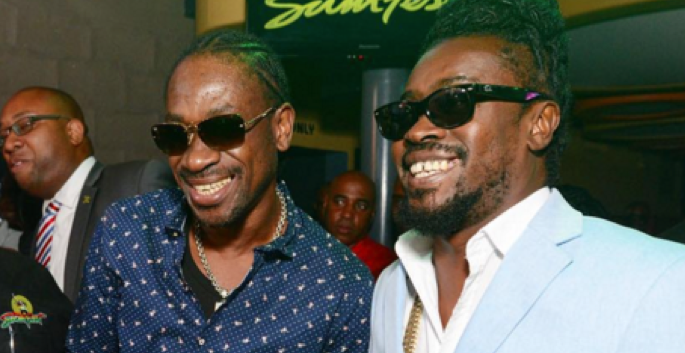 Beenie Man and Bounty Killer shared a laugh on Thursday over a throwback photo of the two Dancehall veterans. The Doc. and Warlord has one of the longest running beef in Dancehall history however they also share a friendship and mutual respect for each other. Yesterday, Bounty Killer took to Instagram to uploaded a photo taken back in 1996 with Beenie Man. In the image that has now gone viral, the two entertainers can be seen embracing each other as they perform at a local event. “Some weh round a wam part 96, kuh pon style and fashion linen suit days😁😄😄@kingbeenieman Dancehall National Treasure⚖️,” Bounty Killer captioned his post. Its great to see these two Dancehall legends sharing a laugh for a change. View posts below.